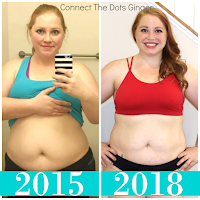 Connect the Dots Ginger | Becky Allen: You Are NOT Too Fat To Get Fit! You Are NOT Too Fat To Get Fit! Don't ever let your current starting point stop you from taking that first step in your journey. I used to let this define me. A few years ago I said to myself, "I'll never be able to do that workout. It's too hard." I have been doing that workout this month! AND I LOVE IT! I actually hear all the time, "I'm x amount, I can't do those kinds of exercises!" I am here to tell you, YES YOU CAN! I am 247 pounds right now. You see me doing my workouts. You see me breaking the stereotype of what can and cannot be done. Here's the thing. You might not right from the get go be able to do some exercises, but eventually, as you are consistent you will be able to do a downward dog split. Or Surrenders with weights. Or a bear crawl. I say these 3 specific exercises because at one point, I told myself, "I will never be able to do that." Take the I can't, or I will Never out of your vocabulary RIGHT NOW! Because sister, you can do anything you put your mind to! I get it. Exercising as a plus size person is WAY harder than most would believe. I personally have excess belly fat that actually gets in my way doing some exercises. It actually takes a lot of strength to just hold a plank. Getting up and down can be a challenge. 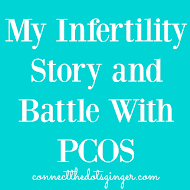 I am here to tell you, as a plus size sister, YOU ARE A ROCKSTAR FOR EVEN STARTING! Your body is already way stronger than you think. And doing extra things can be challenging but, you can do them. Follow these simple rules to help you get started, keep going and ultimately reach your goals. Rule #1: Max Effort of 70% Only! Can't do the full 30 minute workout. That's okay. Do what you can for as long as you can. If you have to start with doing just 10 minutes. The goal is to KEEP GOING and DO WHAT YOU CAN! At any time if you feel dizzy or short of breath, pause your video, take a seat and rest for a bit until you feel like you can keep going. MODIFY the moves only when you have to. Modification is the key when you are first starting. Take now shame in it! But when you feel stronger and are able to move past modifying or can do some of the original move, DO IT! This one still gets me. I still modify because I am still working on my strength in my core, but I also get comfortable not pushing myself as much as I can. Don't let yourself plateau in your progress of your workout. This is part of the reason why I am so excited for 80 Day Obsession. Yes it is an intermediate to advanced workout but...Each workout every day is totally different. 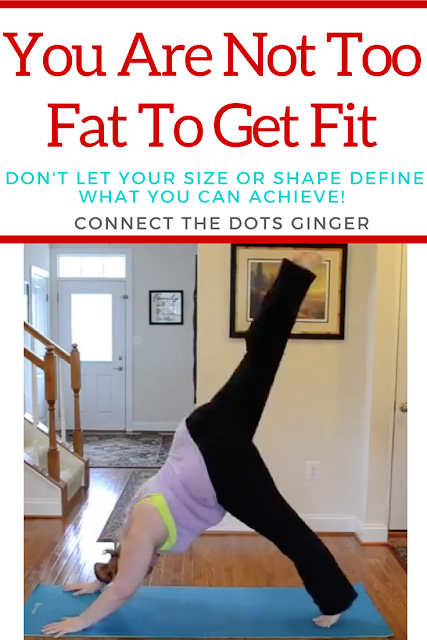 It won't allow me to do the same workout over and over and modify the same moves over and over. It will push me to the next level which is exactly what I need a program to do for me. Use what you have around you if you don't have the equipment. Don't have weights, use soup cans or water bottles. Use your baby (safely. check out this post with how I did my Total Body Workout with my baby) if your baby refuses to be put down. Use toys, use books, use your flour container, use what you have. There are tons in your house that can be used as a weight. Or you can get a single set of weights for a great low price. You don't have to get a full set right away. Get what you can and then build from there. If something hurts when you are lunging, don't lunge as deep. If a weight is too much for you, use something smaller. If your body is telling you to rest. REST. Your body doesn't want to get hurt just as much as you don't want to hurt it. Your body will tell you when something is not right. But this is not to be confused with "I'm already feeling sore" If you are sore in your muscles from yesterdays workout, sometimes working out again today will help to loosen those muscles. My mantra, "Super sore, workout more!" Don't let your current weight, size or shape define what you can and can not do. You are so much stronger than you think you are. Getting started is the first step in your journey. Just take that first step! Need support and help along the way? 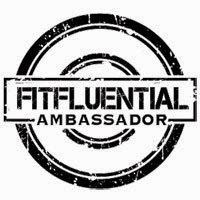 Be sure to join my FREE online Community for daily motivation, tips and info to help you out! The new year starts Monday. This is your year! Want more daily motivation and inspiration? 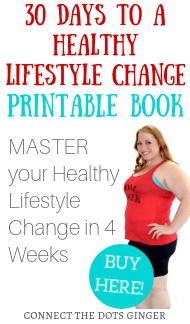 Click here get free advice, support and encouragement + a free copy of my Clean Eating guide to help you get started on your health and fitness journey! Don't forget to follow me on INSTAGRAM and FACEBOOK!